The BBC are reporting that unheard Joy Division studio tapes have been unearthed by a former studio employee. The key word here is unheard… could this mean that there is some new Joy Division material on here? The original photo and comment is on Facebook – click here to visit. Unheard Joy Division outtakes are among a stash of rare tapes to have surfaced, according to a former studio engineer who says she rescued them from a skip. Julia Adamson worked at Stockport’s Strawberry Studios and says she saved tapes by bands including Joy Division and Magazine when it shut 20 years ago. She revealed the details on Facebook, saying she no longer wanted the tapes. One recording features outtakes from Joy Division’s 1979 sessions for the Unknown Pleasures album, she said. Ms Adamson, who is also a former member of The Fall, said she salvaged the tapes when the studio’s entire archive was binned after its closure in the early 1990s. She and her husband, fellow engineer Chris Nagle, rescued recordings produced by Martin Hannett, who worked with Joy Division among other seminal Manchester bands, plus “anything else we thought we should hang on to”, she said. “We didn’t see it as valuable, we just didn’t like the idea of them being thrown in a skip,” she said. In the Facebook thread, she said she wanted them to go to a collector as she did not want to look after them any more. 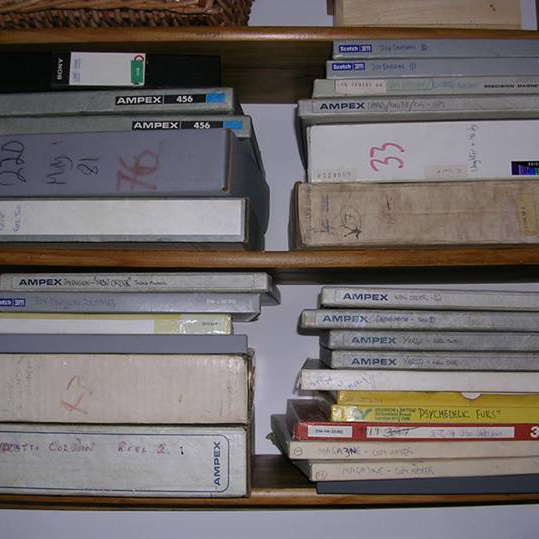 She posted a photo showing almost 30 tape boxes with hand-written titles bearing the names of bands including New Order, The Durutti Column, Magazine and The Psychedelic Furs. 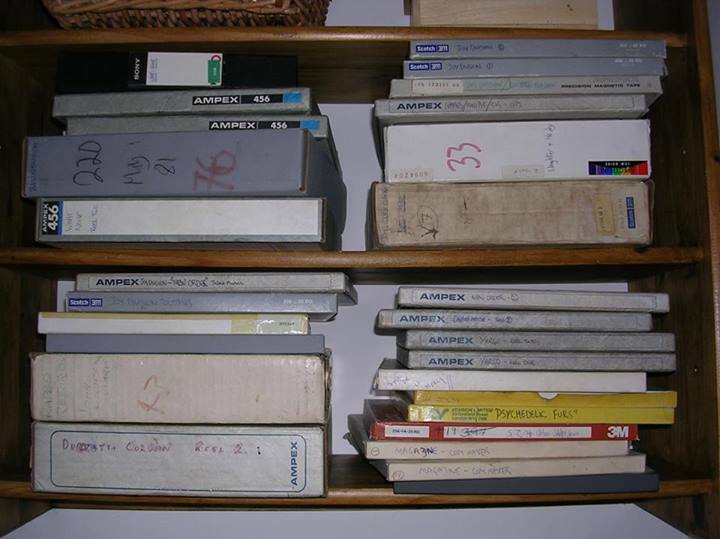 Many are copies of master tapes, with the originals still in existence elsewhere, she said. But one, titled “Joy Division outtakes”, features recordings of the songs She’s Lost Control, Wilderness and New Dawn Fades that “haven’t been heard before as far as I’m aware”, she said. Joy Division were one of the most influential bands of the 1970s. After singer Ian Curtis killed himself in 1980, the remaining band members went on to find further success as New Order. Julia Adamson now runs the Manchester-based record label Invisible Girl. via BBC News – Joy Division tapes ‘saved from skip’.